This is the only game we have listed that requires a subscription. It is arranged by Year Group and Topic (e.g. fractions). Each topic is then divided further (e.g. mixed number and improper fraction conversion) which means that the games can be really targeted towards what your child needs to work on. An excellent, simple website with links to games such as Bingo. 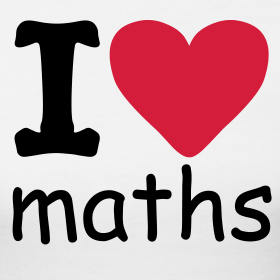 Covers all the main areas of maths such as measures, four operations, fractions, place value, percentages. The games can be played as a family or independently. A website full of maths games related to curriculum. On the homepage click on Resources tab, New Maths Curriculum 2014 and then choose relevant area. A list of games will appear with a snapshot of what they look like. Worksheets are also available. Good for the learning of key instant recall facts (e.g. number bonds, times tables). It has games children can play with the option of timed or not. A huge array of worksheets and games for English and Maths. Easy to navigate and find game as you can choose search based on year group/area of maths/topic. A huge array of games for English and Maths. Easy to navigate and find game as you can choose search based on year group/area of maths/topic. Very much a KS1 website with numerous fun and engaging maths games. If you enter the Maths Zone you will find topic areas. Click on the required area and suggested games will come up. This is not organised by year group so you may need to have a look to assess whether the level is appropriate for your child. An American website full of maths games that children can play on their own. Games are organised by both ‘Year’ and topic. We suggest searching for topics as the American ‘Grades’ do not necessarily have the same curriculum as the Years here. Specifically useful for parents supporting their children with the KS2 SATs. If you sign up you get access to useful practise materials and occasional, yet useful, SPAM!